I was struck at last Wednesday's DA by Michael Mulgrew's multiple references to the AFT Executive Board. Evidently this is an important meeting for some reason. Maybe it's because so few of us are privy to it and we need to know Mulgrew is. Or maybe it's because, as he says, Michael Mulgrew manages to make contact with various local union presidents, and is thus able to share the Union Loud and Proud, or Public School Proud and Loud, or whatever he's calling the most recent iteration of his feel good about union campaign. Why do I find this interesting? Well, I've been on the UFT Executive Board for a little over five months, and I can't help but notice how relatively unimportant his own union business is. Unlike Mulgrew, I've actually attended every meeting. And unlike Mulgrew, I try to come in the beginning and leave at the end. I have been late a few times, but not by design. On the other hand, Michael Mulgrew shows up when he feels like it, if he feels like it, with no regard whatsoever for the agenda. He interrupts whatever is happening, no concern of his, gives a short talk, and then walks out. He participates and interacts with the board not at all. Why should the President of the United Federation of Teachers concern himself when members have issues? Why should he worry when we are under attack? Clearly he has more important things to do. Why should he have to listen to opposition voices democratically elected by the high school teachers? That's not a priority of his, and that's why he's never emailed us, spoken to us, or perish forbid, met with us. The high schools didn't support his caucus so screw them, he's taking his ball and going up to the 14th floor, where they do whatever it is they do up there, and that should be good enough for anyone. It's odd that the Executive Board meetings are run by the Secretary. The equivalent meetings in my school, with our consultation committee, are run by yours truly. Can you imagine a chapter leader calling meetings, saying a few words, and then being so disinterested he just walks out and leaves it to the members to work out whatever it is they're there to work out? Can you imagine a teacher coming into a classroom, saying a few words to the kids, and then walking out to do whatever? Can you imagine the consequences of such behavior? I see rubber room. Of course, you and I are lowly teachers. We are not union presidents. But if we were, in any union but the UFT, we'd have to run our own Executive Board meetings. Members would not put up with our saying we're too important to participate. But in the notoriously top-down UFT model, no one even knew what the hell went on at Executive Board meetings until upstart bloggers went and got elected. Now we write about it, and if I recall correctly, Michael Mulgrew has not spent more than thirteen minutes at any particular meeting. That won't change, because UFT leadership already does everything right and their being wrong is not within the realm of possibility, even when they contradict themselves. I don't know about you, but that reminds me of Donald Trump. Let's pivot for a moment and discuss social media. Mulgrew loves to talk about social media and how fabulous we are at it. He loves to point to what's-his-name, whoever it is who runs it for the UFT. He loves to tell us about the power of hashtags, and how we should use this one or that. In fact, I sometimes get email notices to please tweet this or that, and I usually comply. On several occasions the tweets suggested went beyond 140 characters and I had to edit them to make them fit. Of course, that wasn't leadership's fault, because nothing ever is. It certainly wasn't Michael Mulgrew's fault. How do I know this? I know this because Michael Mulgrew has no presence whatsoever on social media. I'm on Twitter and Facebook, but he isn't. Don't we lead by example? Isn't that fundamental? Not in the United Federation of Teachers. Of course, just like I can't read the tweets or posts of Michael Mulgrew, I can't read his mind. But I certainly know that he doesn't wish to interact with lowly members like me. If he did, he'd be on social media. If he did, he'd answer my email. This he does not do, and that's why, on the extremely rare occasions I email him in my capacity as chapter leader of the largest school in Queens, I copy them here. That way, I know someone reads them. The Mount Olympus style of running the UFT is problematic. It is certain to become much more so when dues become voluntary, an inevitablity that Mulgrew acknowledged at last week's DA. It's disgraceful that the President of the United Federation of Teachers sleepwalks through his fundamental responsibilities, conveying the unmistakable message that he's too important for us. That's something he could easily change. But you know what? 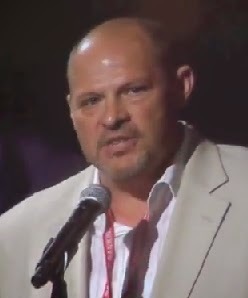 Micheal Mulgrew is never wrong, UFT leadership is never wrong, and they will thus hang tough. Too bad, because that never works, not for him, not for them, and not for us either. And let's not forget what directly brought us to this point--the blind and unquestioning support of a candidate who couldn't be bothered to do more than pay lip service to the needs of working teachers and working Americans. Hillary was too cool for school, Mulgrew is too cool for school, and for those of us in schools every day of our lives, teachers and students alike, that model is an abject failure. If you're not learning you're dying, and I've seen precisely zero evidence of learning on the part of ever-autocratic UFT leadership.